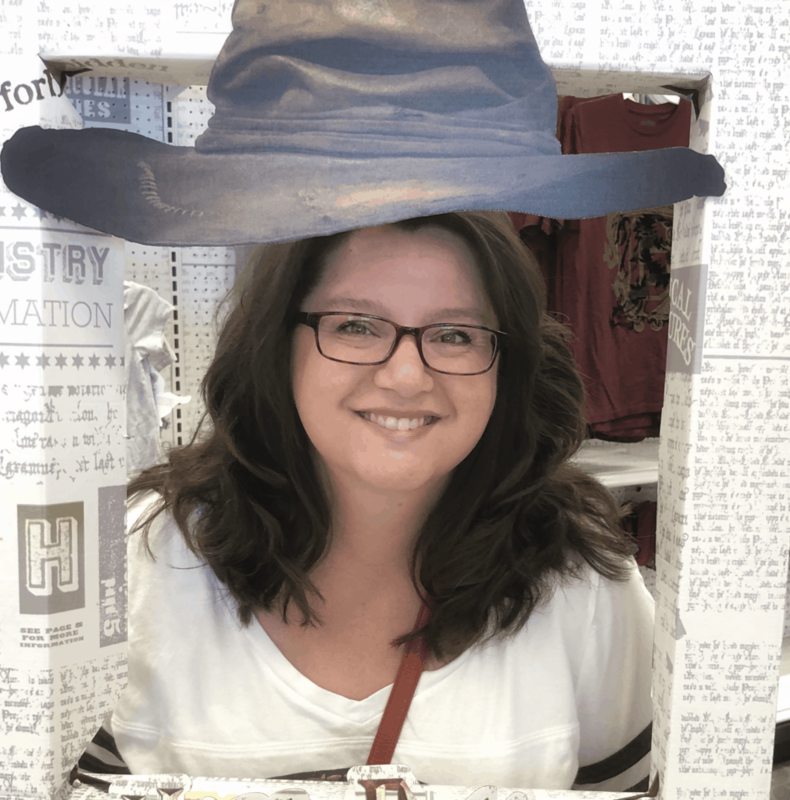 This easy Harry Potter costume fits right in with my on-the-fly lifestyle. I dress up every Halloween when I take my kids trick or treating. (Although, they might be too old this year. Oh, calamity!) One year I wore my witch’s costume that looks a bit like Professor McGonagall. 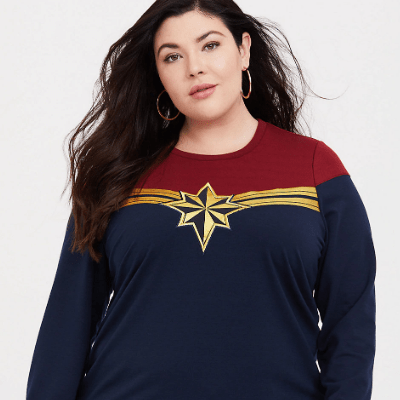 One year I wore my Supergirl t-shirt that has its own cape (along with some snazzy red satin slacks). One year I even went as Lumpy Princess. That costume was a little creepy, thanks to the inanimate purple mask. 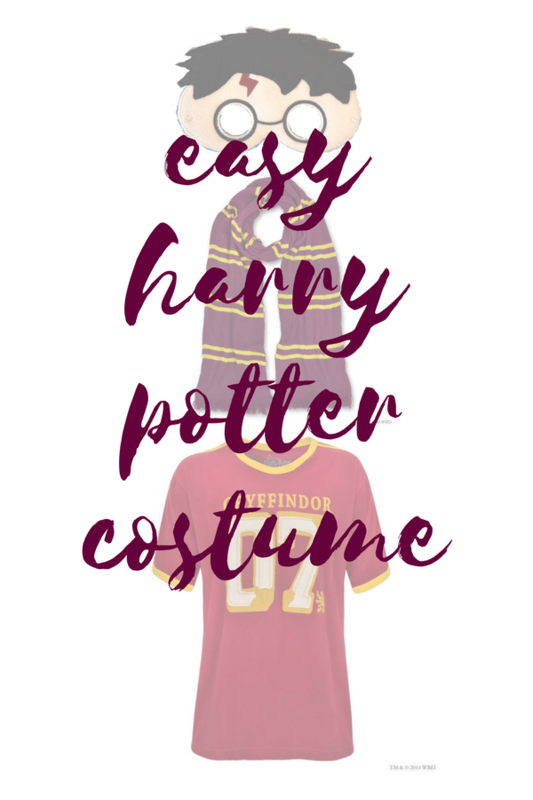 This easy Harry Potter costume is the one I wear the most because it’s, well, so easy! It helps that I have a good friend who made the mask for me at the last minute. I asked Emily Bowman, of Tomboy Togs, if she could whip up a mask only a few days before trick or treat night. She did! She has lots of other masks, but of course, I think the Harry Potter mask is the best one. People really get a kick out of this costume. My friends and family get a little freaked out by the mask, for some reason. The only time my costume fell flat was when I wore it for a performance with the Lancaster Symphony Chorus. We were singing on Halloween, so they let us dress up. 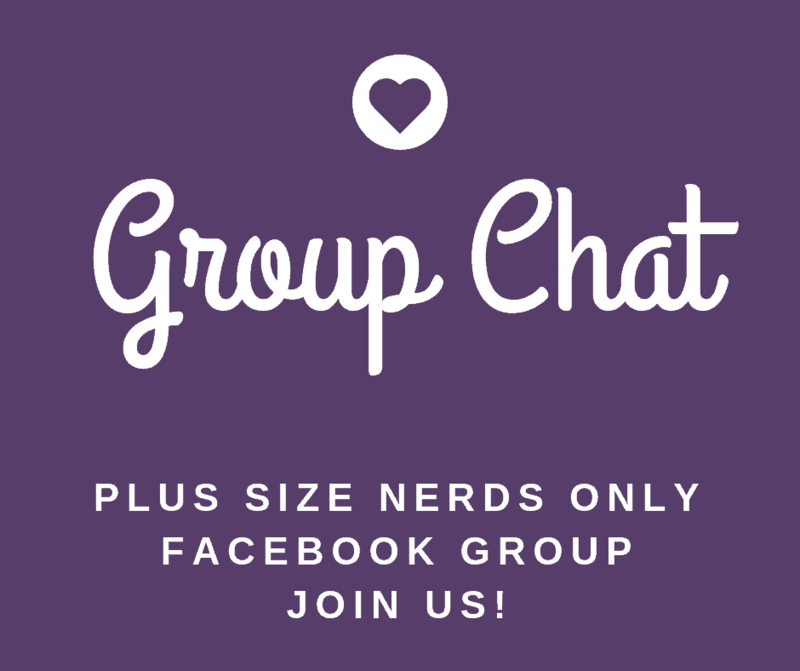 If you know anything about local choruses, you know that most of the members are AARP-age and up. They had no idea who I was. One gentleman even said “Potter?” when he read the back of my Quidditch jersey. I was like, “Um, HARRY POTTER?” He had no clue. How is that possible! 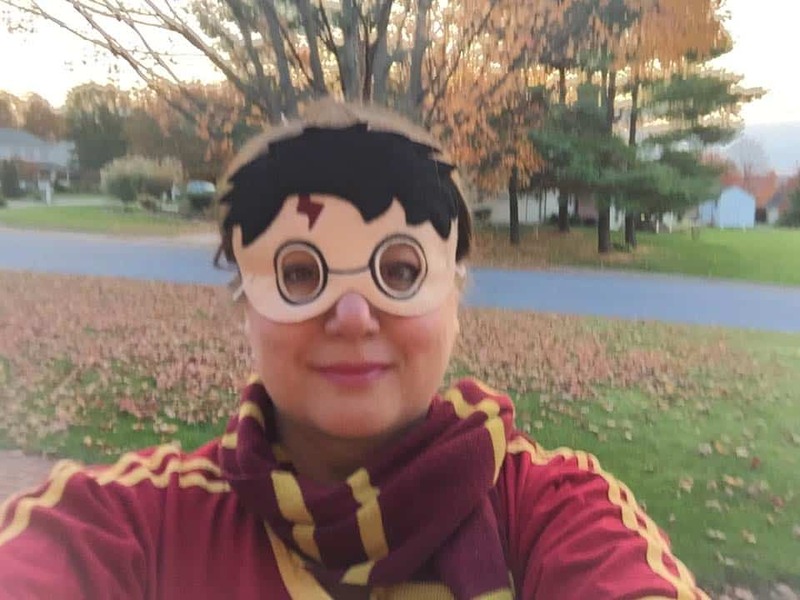 Like I said, you can buy the Harry Potter mask from Tomboy Togs on Etsy. I bought the Quidditch shirt on a different trip to England. I talk about that here. 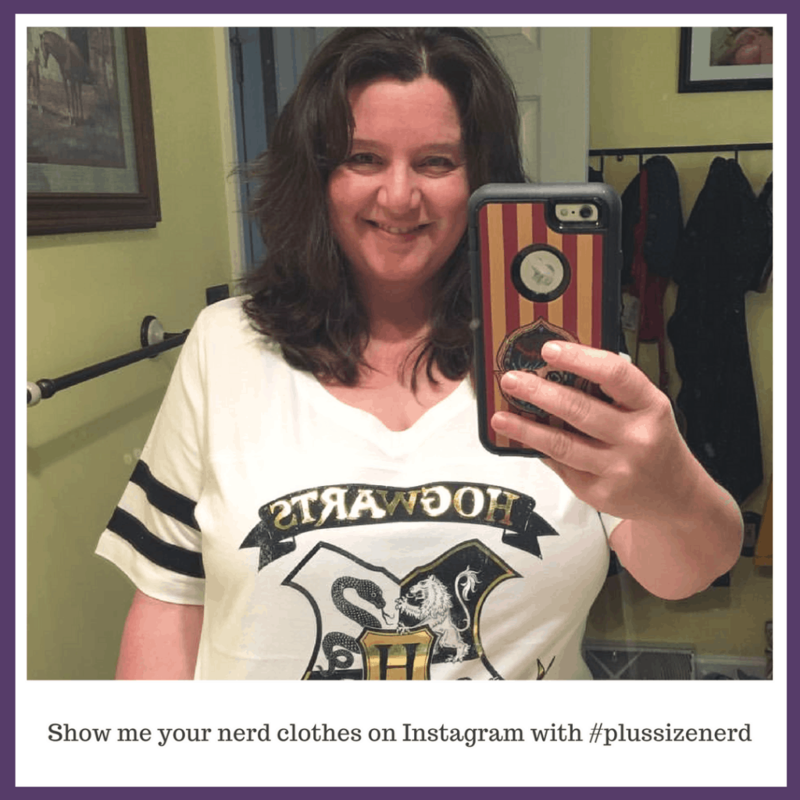 If you put together your own easy Harry Potter costume, be sure to post a pic and add #plussizenerd so I can share it!